I like to watch movies. Especially if they cause me to think about them long after I’m done watching them. The recent Superman flick, Man of Steel, did this for me. As a character, Superman is seen as a hero of the human race. He has been depicted in a huge number of comics, stories, movies, and shows as saving us from ourselves and other evils out there. Jor-El had a plan for his son: To give these creatures something more. Something that they might not otherwise have been able to imagine. In his father’s eyes, Kal-El (Superman) has something great to offer the people of planet Earth. In the movie, Krypton operates like a machine. Natural birth is unknown to them. Unborn infants are grown and genetically disposed to certain traits which will allow them to fulfill their predefined roles to their greatest ability. 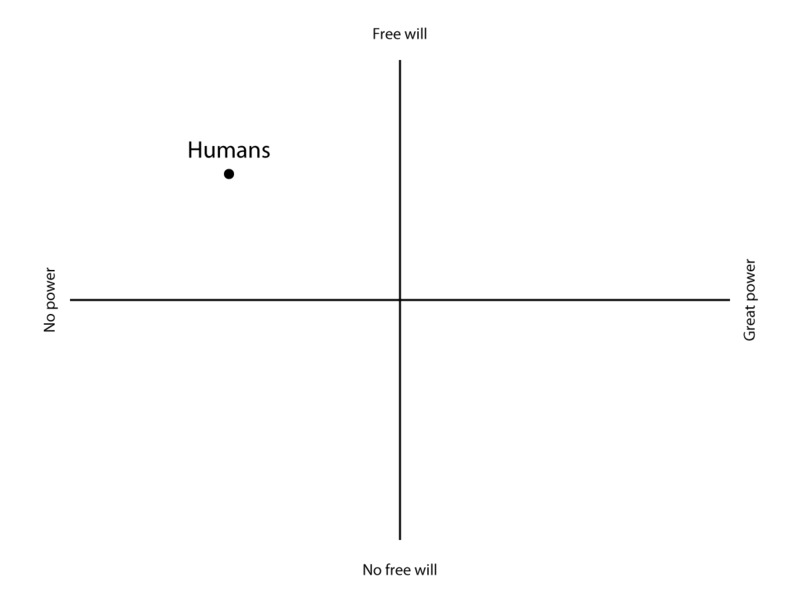 In this system there is no freedom of will. Although Kryptons once possessed the power of choice, they consciously decided to end such an ability to ensure the brightest future for their race. 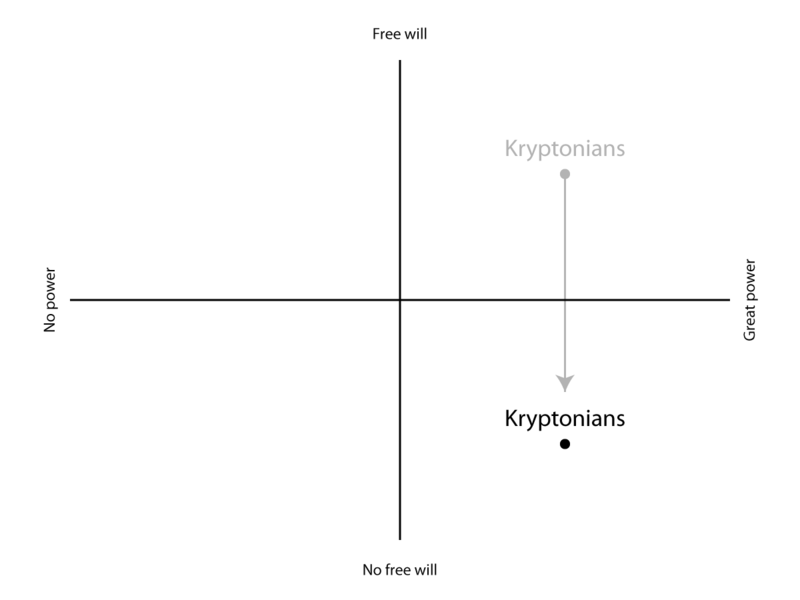 From the very beginning of his upbringing, Superman was told that he had free will. Symbolically and physically free from the constraints of Kryptonian culture, he is able to not only achieve greatness in power thanks to his Kryptonian body, but also the ability to think and choose for himself how he is to live his life. Nearly all stories of Superman involve him in some way or another saving humanity. I think this is a very narrow way of looking at things. Power is something that can be easily gained and lost. What is much more important than that, however, is the freedom to choose what you do with your power. In that respect, Superman is every bit as much, if not more, a hero of Krypton as he is of Earth. 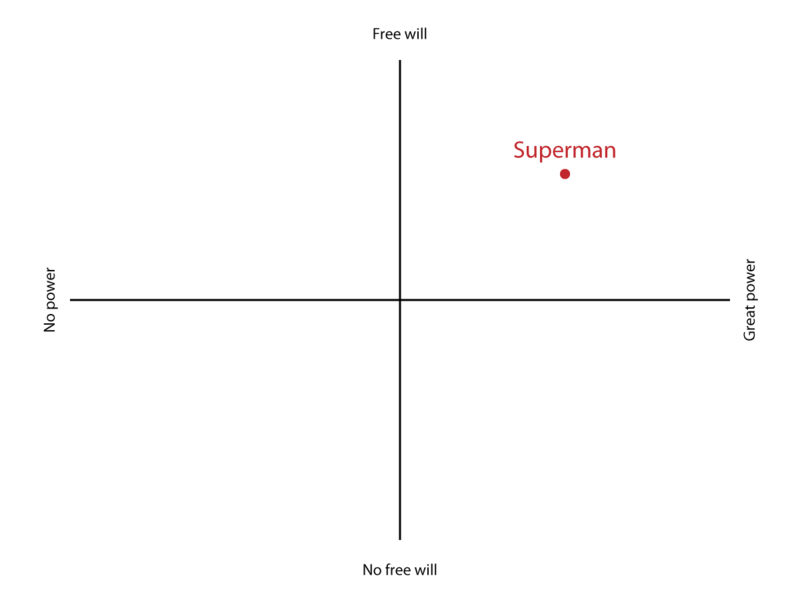 Posted under Notebook with tags free will, movies, superman. This leads into why Lex Luthor is, in my opinion, the best “villain” Lex wants humans to succeed on their own, without the crutch of Superman. Before he starts going crazy, his views are entirely justifiable. Lex is a human who can fight on the level of Superman, and in his views, he’s fighting for the betterment of humanity. Maybe Lex isn’t the best villain, just the most misunderstood hero.